For today (October 13th) only, Stalked by Flames is a Kindle Daily Deal on Amazon U.S. You can pick up your copy for just $1.99. It has been whispersynced so that if you get the ebook you can also choose to get the audio version for only $2.99 (combined price for both formats is $4.98). This is a great deal and one that won’t come up again for a long time. This is the purchase link. Hope everyone has a great Tuesday! First of all, thanks to everyone who has read/reviewed Stalked by Flames. I’m pleased to announce it made it into the top 100 most read titles on Kindle Unlimited for the month of August with both Amazon U.S. and U.K. It did far better than I imagined. I must admit I was a little nervous about how people would react to me combining dragons, the modern world, and an apocalypse, but I absolutely felt the story in my head had to be written down. The overwhelming positive response for the novel was amazing and very encouraging. I’ll look forward to giving you more books in the series next year! Truly, thanks to everyone who picked up a copy. In appreciation of that I will be doing a few giveaways over the next couple of weeks with the first one starting today (see below for details). I’ve also got several updates for you all including audio, paperbacks, official Darkness Wanes release date, and a giveaway. The official release date for Darkness Wanes is November 18th. 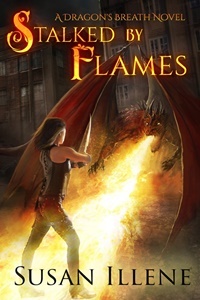 I’d hoped to get it out by the end of October, but with the delay on Stalked by Flames and other personal issues there was no way I could get it finished and edited in less than three months. I know there are some speedy authors out there, but for me I need a little more time to write full-length novels. Every author has to work at their own speed. Thanks for your patience. I will be revealing the cover and summary around mid-October. Be on the lookout for that. I’ll also post the first couple of chapters by early November so you can get a sneak peek! 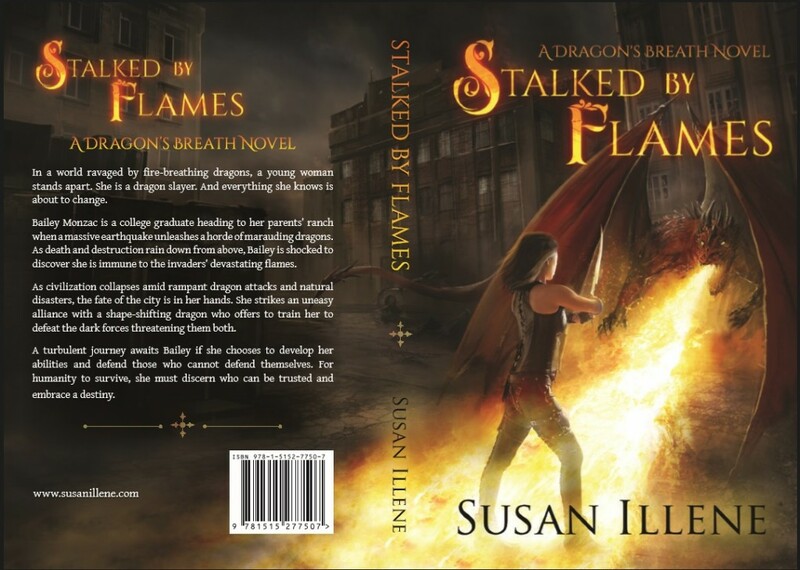 Three paperback copies of Stalked by Flames are up for grabs, along with bookmarks to go with them. All you have to do is comment on this post no later than midnight (U.S. Pacific time) on November 2nd. After that, I’ll randomly select three winners (who will get replies on this post if they won). Be sure to put a valid email address in the appropriate field so that I can contact you for shipping details. If you are reading this on Goodreads, please come to my website to comment. This is open to international contestants.